We are happy to give you another sneak peek into HMD 2.03, “Internal Affairs”, currently in production. This is a rough cut of two scenes (25 and 26) that have been assembled and work together as a whole. Scene 25 features Dr. Henglaar (John Whiting), Dr. Vonus (Jeannie Lin), Dr. Profto (Mark Samarias), and Silan (Evin Wald). Scene 26 features the Cole’s Chief Engineer, Lt. Commander Ken Kato (Scott Fack) and Centurion Tovin (Dean Milos). Hi. I heard all of your series connect and was wondering what order to watch them in. Thanks. It only covers the video series. 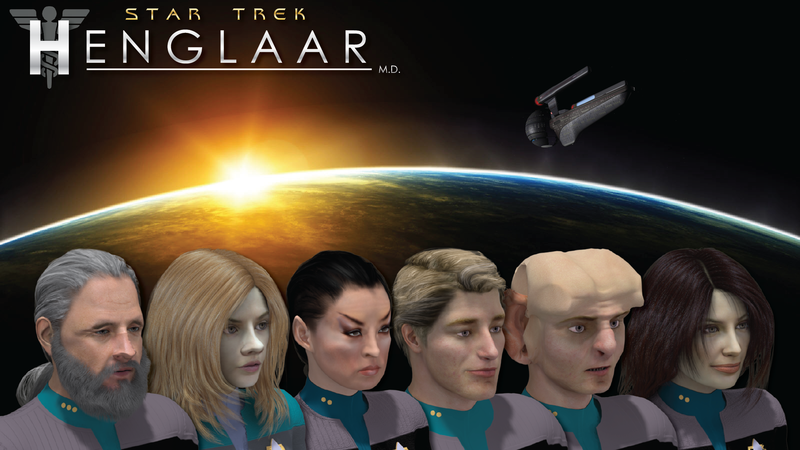 For audio, Star Trek: Henglaar, M.D. starts in the same timeframe as the second seasons of ODY and HC. Star Trek: Diplomatic Relations starts in the same timeframe as the first season of ODY, HC, and FED.